Cleaning a well used, very much loved electric kettle without using any chemical. Disclaimer : This kettle belongs to the owner of a granny flat that my son is residing at this very moment, somewhere 300 km south of Perth :D! 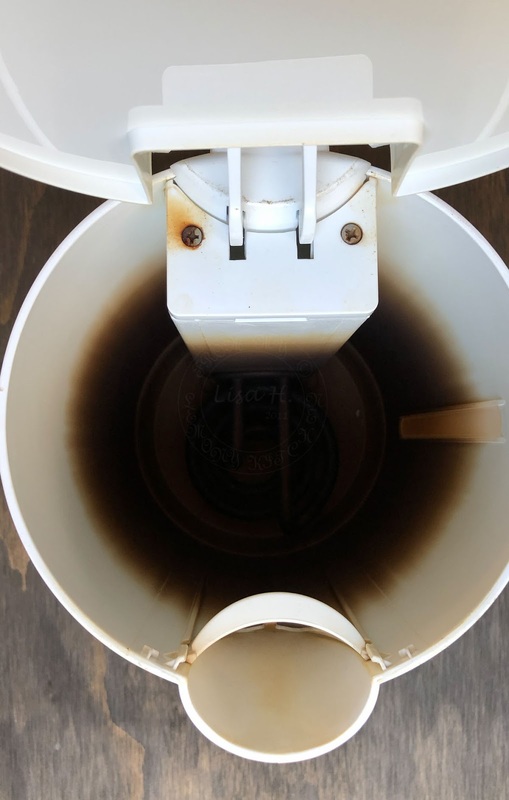 Has this happened to your much loved, well used electric kettle? Just in case you may ask... some one did ask on my Facebook when I uploaded these photos. Why is water black in colour? No, the water in Perth is neither MURKY nor BLACK!! We have hard water. After using the kettle for a long time, this happened to our kettles in Perth. Unless stainless steel kettles are being used. 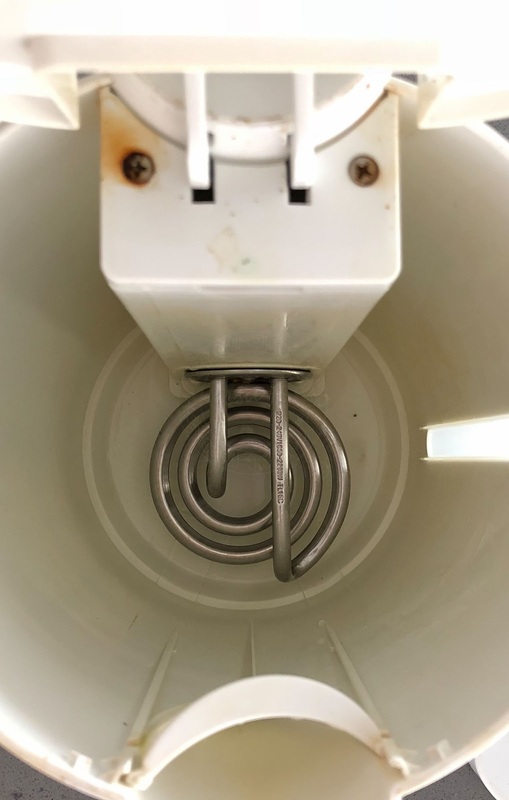 The photo below is how the kettle looks like after long usage. Most would throw their good kettles away ... including me! 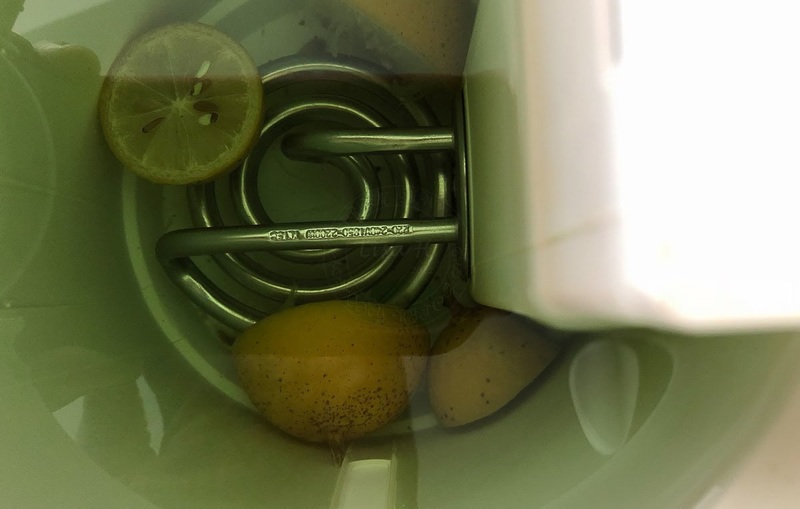 How to save your kettle with this simple life hack? Simple video on "How to Clean Kettle without Chemical" below. 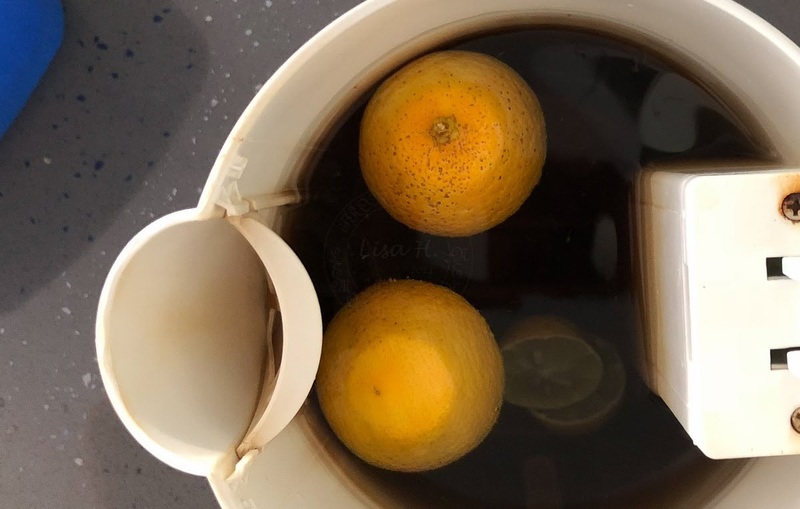 I did a post a while back on cleaning with vinegar. I use vinegar plus dish washing liquid for my shower glass to take off calsified calsium. I clean the grease off my kitchen bench top with half vinegar and half water. I use vinegar (neat) to dissolve calsium deposit at the bottom of my thermos flask. Lemon and vinegar works wonder.